We finally have some good news to report on the Seagal front. We actually liked A Good Man, and we believe it’s his best effort since Urban Justice (2007). The vibe is quite different from the latter movie of seven years previous, as we’re now deep into Seagal’s Eastern European DTV phase, and he’s a long way from beating up homies in the hood. 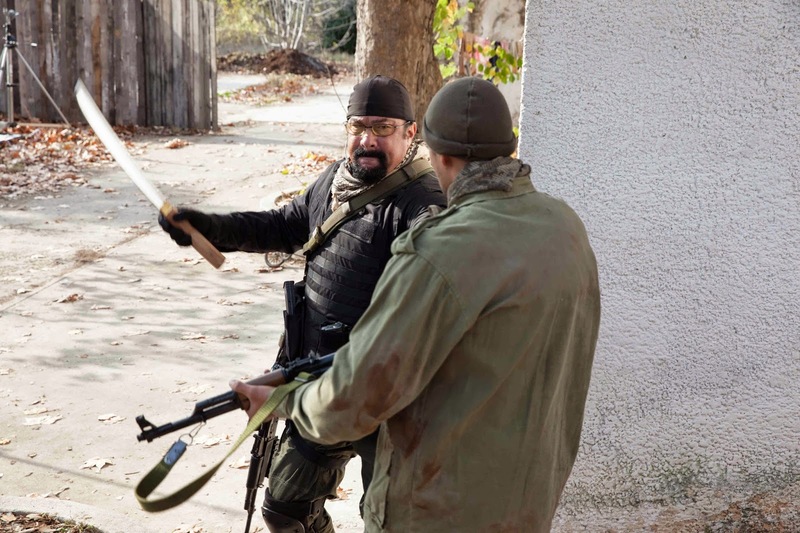 One of the main reasons we can be so positive towards the movie is that Seagal is not a sadistic torturer this time out; while calling him “likable” is just a teensy bit of a bridge too far, this is the closest he’s come in years, and we give him props for that. His character is well-suited for the project, a sort of wise and weary veteran who has seen it all, but who can still fight when need be. It doesn’t call for him to be vicious, belligerent and brutal, which made for a refreshing change. While the voice doubles and stand-ins are still here, they seem less egregious because we were reasonably entertained by the movie as a whole. Plus, they’re now an indelible part of the Seagal experience, so you might as well sit back and enjoy them. Additionally in the win column, he’s surrounded by some quality on-screen talent: Victor Webster has some nice fighting moves and a good screen presence. He was last seen (by us at least) in the silly Gangland (2001), and makes a nice foil for Seagal, just as Byron Mann did in Absolution (2015). 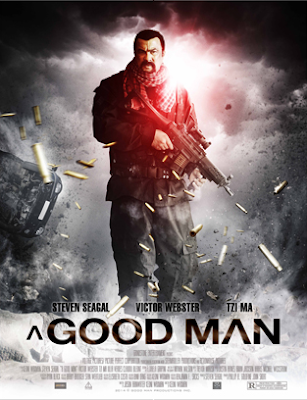 Perhaps not coincidentally, that was also co-written and directed by Keoni Waxman, who seems to have hit upon a good formula for the Seagal vehicle. Tzi Ma is also noteworthy as the philosophical baddie. As we’ve noted time and again, oftentimes the little kid in the action movie steals the show, and the girl who plays Mya was one of the better attributes here. You can see why Alexander wants to save her - she’s not annoying like a lot of onscreen kids. The movie also tries to be topical, with Islamic terrorists and drone strikes at the outset of the proceedings detailing the former life of Alexander. Whether it’s normal or not to have a 62-year-old man in the field with all the young bucks, we don’t know. We’ll have to consult our team of military experts. The fight scenes have some cool moments and the whole outing is not quite as stupid and brain-numbing as you might think it would be. 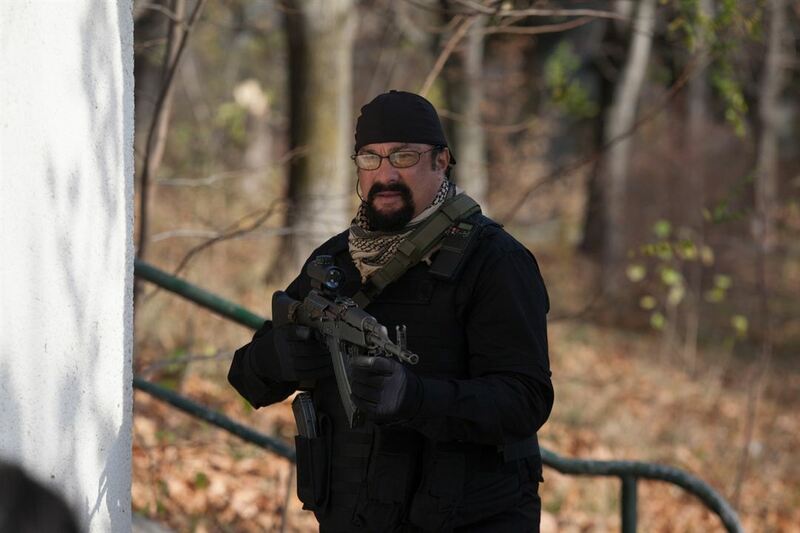 We’re truly hoping Seagal and his behind the scenes bros (he calls a lot of people “bro” in the movie, by the by) go more in this direction in the future. We hope now, after a lot of unnecessary dumbness in years past, he’s finally found his niche. This was one of the better Seagals of recent years. According to IMDB, it is supposed to be some sort of sequel to Force Of Execution, but since Seagal's playing Alexander or John in almost every movie, even John Alexander, it's hard to tell. Steven's almost the same guy in every movie anyway. I also had hopes of seeing better Seagals after this and Absolution, but having seen last year's roster of Killing Salazar, Sniper: Special Ops, Code Of Honor, The Asian Connection, The Perfect Weapon and End Of A Gun, all hopes were dashed. The only "bearable" one was Contract To Kill... and I mean "bearable" as in "don't get your hopes up." Seven movies in one year; Steven, sometimes less is more. BTW, have you noticed that it's getting increasingly difficult to find Blu-Rays of DTV movies? I guess no-one is buying discs anymore. Appreciate the heads-up on those 6 Seagals. We'll probably avoid them for now. Agreed, if he made two movies a year with actual quality, that would help him a lot. You're right, nobody cares about Blurays anymore. It's all digital downloads and on demand services. Let's go back to the time of video stores where it was fun to browse and you can watch a solid Seagal flick too. Haha.